The tallest cast in the West? I've never really explored the western genre, and plucked this one from the IMDb top 250. It's a cracking film that I really enjoyed, and one which I now understand why people debate so much. What struck me though, was how tall the leads are! I'm used to seeing Stewart towering over everybody, but putting him with an astonishingly good Marvin (6' 3") and of course the towering Duke (6' 4 1/2") must make this the tallest cast ever until the Green Mile came along! I've seen more than one person say that Stewart was twenty years too old for this role. I don't agree, and thought he was fairly convincing in this. 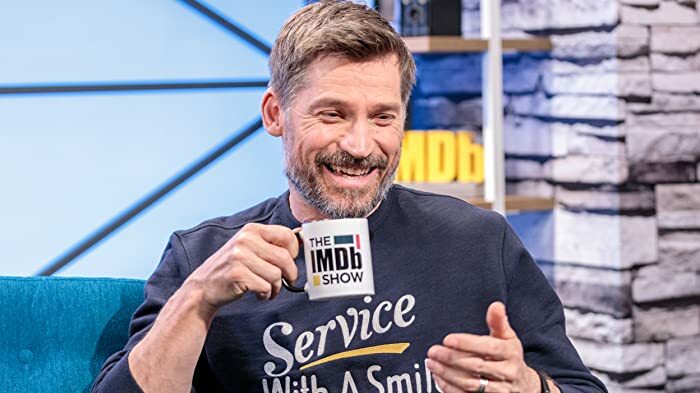 There's also nothing to say how old his character was on arriving in Shinbone. 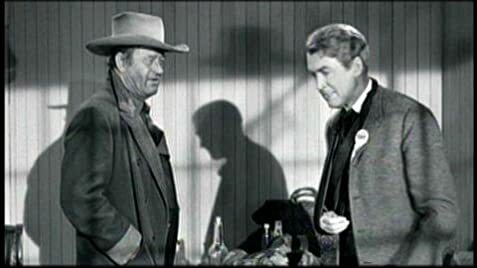 At one point, hard-drinking newspaper editor Dutton Peabody refers to the bad guys as "Liberty Valance and his Myrmidons." The Myrmidons were figures of ancient Greek mythology, skilled warriors in Homer's Iliad commanded by Achilles. Because they were known for their fierce loyalty to their leader, the term came to be used in pre-industrial Europe almost as "robots" would be today. According to the Oxford English Dictionary, the term has since come to mean "hired ruffian" or "a loyal follower, especially one who executes orders without question, protest, or pity--unquestioning followers." Ransom Stoddard: Thanks, Jason. On time. Out on the plains, all the cactus plants look the same (props).